Sharing a rental house is common among low-income earners in Kenya and geo-location technology and social media has become increasingly important in this market. We interview Joshua Mutua, the brains behind KejaHunt, a startup property listing company which includes a social media mapping function to help people vet housemates via their shared Facebook connections. It also seeks to tackle the issues of crime, corruption and scams that are rife in the Kenyan rental market. Can you tell us about the basics of your company? KejaHunt is an online property listing platform using geo-location technology to solve the problem of tedious and frustrating house hunting experiences for [a] large [part of the] population in Kenya. We are a team of four people made up of the three co-founders and an intern. The idea was born when we were almost through with the university, in the year 2013. [During this time] we tried to secure a house to move into after school and had to go through all the hardships of house hunting which included getting conned by quack agents who claimed to have houses ready for occupation but had to get some form of payment before showing [us] the houses. In November of 2013 the idea of an online property listing platform for all classes of people came to be as we got into an incubation program at the Nailab. Why would you consider your business idea and company unique? Our business idea caters for the wider population. We also allow for people who want to cost share before they can move into their own homes. [They can] get roommates on the platform using social graph which is a technology that allows for matching people using the number of mutual friends they have on social media platforms. [This] assists guys to do a background check on each other before moving in together. Can you please comment on the real estate situation in Kenya and East Africa? There is still ground to cover in terms of satisfying the housing deficit in Kenya and the East Africa. 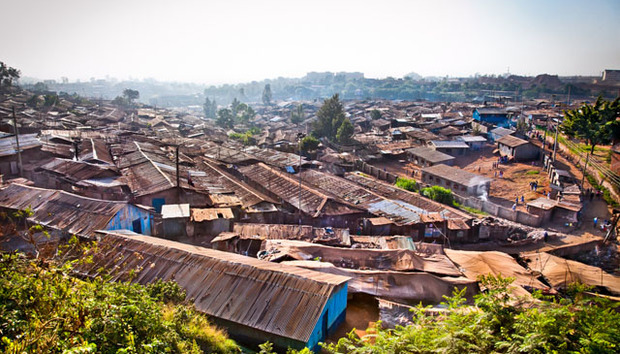 In Kenya alone the demand for housing annually is 150,000 units and only 30% of this is actually realized. But with new building technologies coming up we hope to overturn the deficit as building will be less expensive and will take a shorter time to develop. Would you say that Kenyan and East African real estate/building/housing potential are underutilized? Why? Yes, it is underutilized but this is brought about by the cost associated with developing housing units. The lending rates at local financial institutions discourage most real estate developers. There is also the problem of sticking to the conventional ways of building and [conventional] materials. We need to embrace technology in order to really reach [our] potential. What is the technology behind your operations? We already know about the internet, you can tell us more on payment methods: Mpesa, Airtel Money, Credit cards etc. We use geo-location that allows for mapping of the properties. This means users can get the exact location of the house and also apply a social-graph that enables them to match potential roommates using the number of mutual friends they have on Facebook. Payment is usually made through M-pesa, Airtel money and Yu-cash as these are easy to use and available to all registered mobile users of the major service providers in Kenya. The major challenge is the issue of facing out agents. Most developers, or rather landlords, still stick to the conventional method of relying on agents to get tenants. Also most of these developers are not as tech savvy as we would wish them to be, hence their understanding of online transactions is limited and they tend to shy away. To tackle this issue we usually have demos for the developers we meet. We also explain to them why having an agent nail a poster on an electric post won’t get them the reach they will get if we list their properties on our platform. The housing sector is full of imposters, conmen and other inconsiderate players that tarnish the name of the sector as house “agents”; what is your advice, as a professional in this area to house-seekers and landlords? Be smart going about your house hunting business, avoid crafty looking or sounding guys and make sure they are people with a background you can trust. How is your company coping with the limitations posed by low internet usage among house seekers? That is one of those forces we would want to tackle but we have no control. We also have [telephone] contacts on our site and social media platforms so people can use to call and refer their friends. Where is, and where do you see the Kenyan real estate/housing sector now and in the next five years? I have a feeling that in the next five years the emerging building technology will get us to that level where there are no more real-estate bubbles as lending rates will have gone down and cheaper building material will be easily available. People will have embraced new building techniques that make building easy and cost-effective. If you were to change anything else in the housing/real estate sector, what would you have targeted? Providing real-estate developers with incentives like lowered lending rates and subsidizing building material prices by cutting down on custom paid while importing cheaper building material. This will lead to more quality units provided for home seekers and most definitely at reasonable prices. [This means] all classes would have a nice place to call home. What are your shorter and long-term goals? Our main short-term goal is to cover the whole of Kenya in the next six months and our long-term goal is to cover the East Africa region by 2016. Definitely we are eyeing the number one spot in property listing in the region.